The 6 Hours of Spa-Francochamps will begin Saturday, May 3, at 8:30 a.m. EDT. The complete 6 Hours of Spa-Francochamps live stream online will be available on the 24 Hours of Le Mans official website. Radio Le Mans will also commentate the 6 Hours of Spa-Francochamps. Finally, the official WEC website will offer live timing and scoring. The race at Spa will mark the second race in the 2014 WEC calendar. More importantly, the Porsche 919 has earned its maiden pole and are truly bringing the fight to Toyota and Audi with just one month left until the 24 Hours of Le Mans. 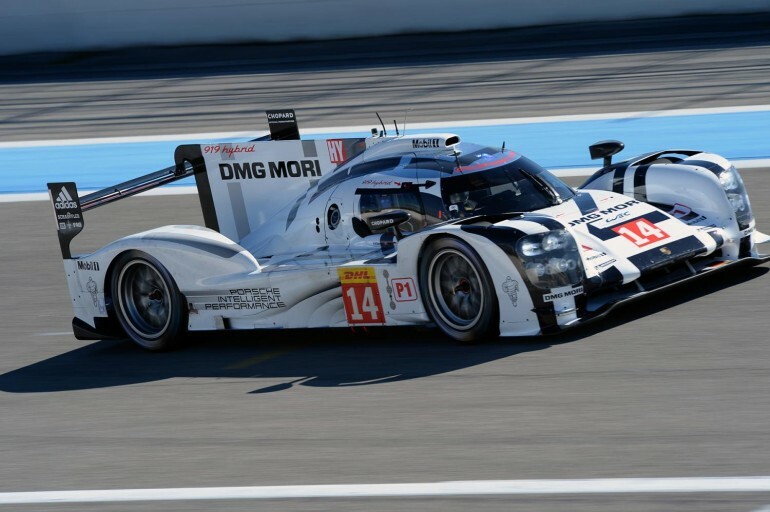 Porsche drivers Marc Lieb and Neel Jani managed to grab pole position in the #14 Porsche 919 Hybrid, just ahead of Sebastien Buemi and Anthony Davidson's Toyota TS040 Hybrid. Lieb and Jani averaged a fastest lap time of 2m01.198s, a significant six tenths quicker than the Toyota TS040 Hybrid. Sure, it's only a fraction of a second, but try and find another 0.60s at Spa after you've already given it everything you've got. Neel Jani was the first to get out onto qualifying with slicks on after the team scrambled to respond to the drying track. After Jani's hot lap, it was Marc Lieb's turn to go. "I was drinking a coffee in the back of the garage when I was told to put my helmet back on and get back in the car," said Lieb. "I was quite tough: I got a really good out-lap so I could get the two timed laps in. "The past year has been quite dramatic. We have built a brand new team and done so many test kilometres, so to get the first pole position is really cool," Lieb adds. The 6 Hours of Spa-Francochamps will begin Saturday, May 3, at 8:30 a.m. EDT. The 24 Hours of Le Mans official website will provide a live stream for the complete race. Radio Le Mans will also commentate the 6 Hours of Spa-Francochamps. Finally, the official WEC website will offer live timing and scoring.